In many parts of the Northern Hemisphere, frozen lakes define the winter experience and create an indelible sense of place. From ice fishing and hockey to skating, skiing and snowmobiling, icy lakes enable communities to engage in activities that aren't possible in warmer seasons or climates. But these iconic cold-weather past-times could become a rare winter treat. A new study published today [Jan. 28, 2019] by an international team of researchers, including at the University of Wisconsin–Madison, shows that many northern latitude lakes are at risk of experiencing some ice-free winters in the coming decades. In some places, lake ice will disappear altogether by the end of the century. According to its authors, the study—led by Professor Sapna Sharma of York University—offers "the first global estimate of how many lakes are likely to lose winter ice cover as climate warms." Co-author John Magnuson, emeritus director of the Center for Limnology at the University of Wisconsin–Madison, says the team developed a model that allowed them to predict which lakes would lose ice first and how that ice loss would be distributed across different latitudes. The result is a map that shows the extent of winter lake-ice retreat under different global warming scenarios and highlights what could still be saved through efforts to reduce global emissions. Currently, 15,000 lakes sit in a climate zone where they experience intermittent lake ice – some years are cold enough that the lakes freeze over and other years are warm enough that they don't. These lakes, the researchers write, are a "harbinger of permanent ice loss." As annual average air temperatures warm, this intermittent ice zone moves north, eventually leaving the lakes south of it looking at an ice-free future. If the world can meet the Paris Agreement's climate mitigation goals to limit global average temperatures to two degrees Celsius of warming, the study predicts the number of these intermittent ice lakes will increase to 35,300, potentially disrupting the winter experience and traditions of the 394 million people who live within an hour's drive of their shores. However, under a "worst-case" climate scenario of eight degrees Celsius warming (predicted by some models as the extreme case if the world does not act to reduce its greenhouse gas emissions) the number of intermittent-ice lakes jumps to 230,400, bringing lake ice impacts close to home for 656 million people spread across more than 50 countries. Such an extreme level of warming would push winter's ice-covered lake zone out of the United States, well north into Canada, and endanger the ice-cover of most lakes in traditionally frigid countries like Norway and Sweden. It's important to note, says Sharma, that these changes are happening now: "It's not one of these climate change predictions where you think, 'Oh, I have 100 years before this might become my reality,'" she says. From 1862 through the winter of 1996, southern Wisconsin's Lake Geneva, a prime destination for regional ice fishermen, froze over each year. But, since 1997, the lake has had four ice-free winters. Lakes from Alaska to Germany and Japan are experiencing similar trends. For instance, over the last three decades, Japan's Lake Suwa has only been freezing two out of every 10 years. Lake ice records here—the longest-running in the world—go back to 1400 AD and in the first 250 years that data was collected, there were only three years in which the lake did not freeze. The drastic changes in Earth's climate over the last several decades do more than limit human recreation on frozen lakes, the study authors say. Lakes that don't freeze over are more susceptible to evaporative water loss during the winter, and warm up faster through spring and summer. This can lead to lower water levels, an increase in potentially harmful algal blooms, and reduced oxygen levels in the water, which can be detrimental to fish and other wildlife. It also threatens human use for drinking water, boating and fishing. The study also found that once regional winter air temperatures reach an average of 8.4 degrees Celsius (about 47 degrees Fahrenheit), lakes tend not to freeze. Lakes don't all respond to warming equally, Magnuson says. "The deeper the lake is, the more heat storage it has and it takes more cold weather to get the lake down to a temperature where it could freeze," he says. A lake's shoreline also plays a role. The study found that lakes with "simpler" or more circular shorelines receive greater wind shear across their surfaces, which can prevent the formation of ice because it requires calm, flat water. Magnuson saw these dynamics in action this year. 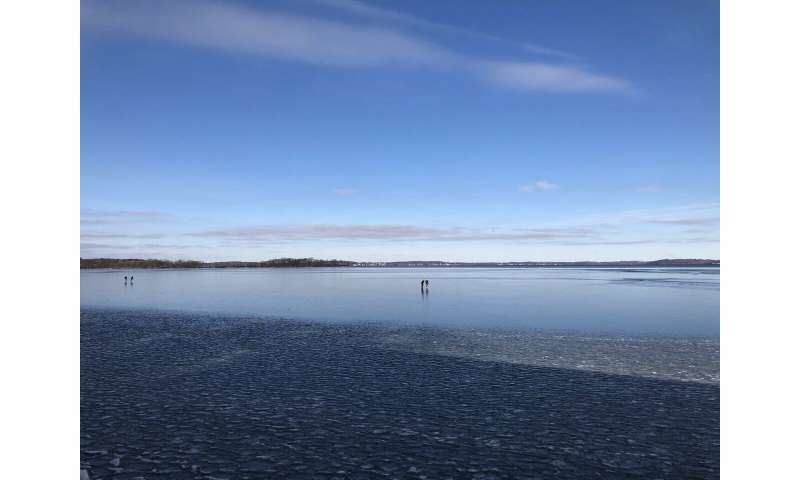 From his office on the shore of Lake Mendota, the deepest of Madison, Wisconsin's chain of lakes, he watched as the lake froze and thawed twice in December and January. Meanwhile, nearby and smaller Lake Wingra froze in early December and has maintained its ice. Mendota's "fits and starts freezing," he says, illustrates how climate change is expected to affect northern lakes. 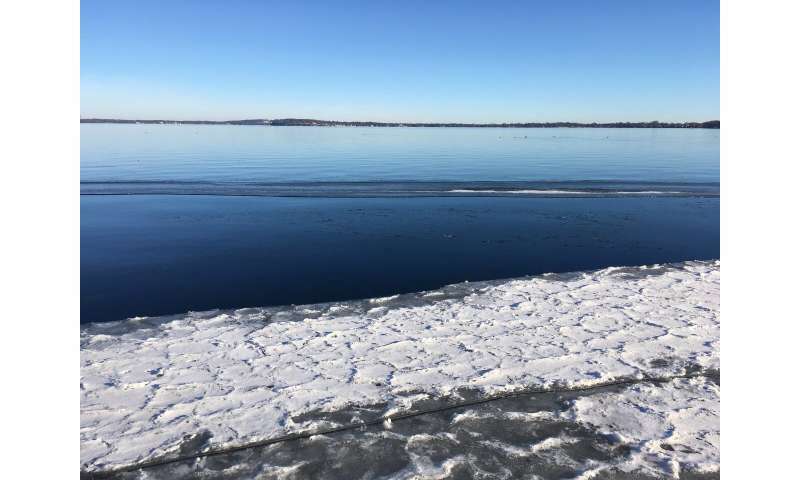 "Lake Mendota's not going to suddenly have no ice and then have no ice again the next year," he says. "It's going to have increasing proportions of years with no ice. It will have good winters for ice activity and winters with no ice activity. This is going to be a gradual process." It means millions of people will find themselves awaiting the big winter freeze they have come to depend on and turn to each other to ask: "Winter is coming … right?"